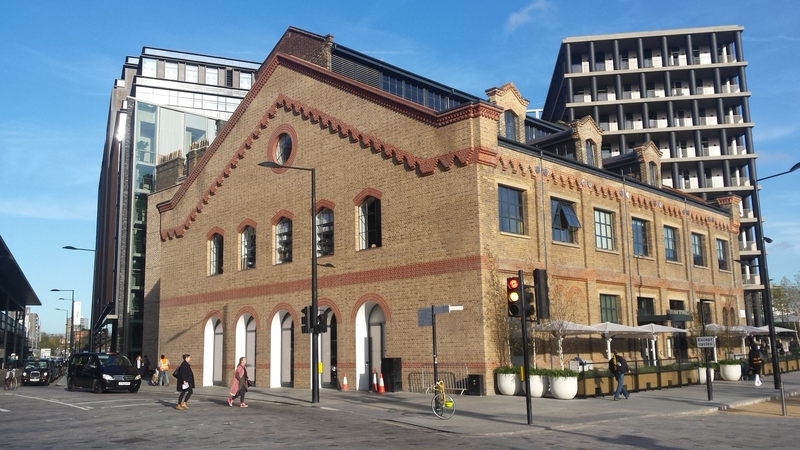 Did you know that the first gymnasium in the UK was built in King’s Cross? The German Gymnasium, front and side view. 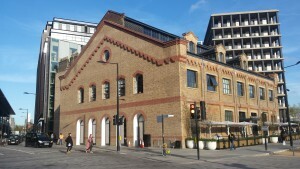 The German Gymnasium was built in 1864-5 at the expense of the German Gymnastics Society and the German community in London. It is believed to have been the first purpose-built gymnasium in the UK and was designed by Edward Gruning. Long forgotten sports were practiced here, including Indian club swinging and broadsword practice. The National Olympian Association held the indoor events of the first Olympic Games in the Gymnasium in 1866. These games continued annually at the German Gymnasium until the White City games in 1908. The main exercise hall was a grand and elegant space with a floor to ceiling height of 57ft.. The German Gymnastics Society had a forward-thinking approach to women’s exercise, with classes taking place here from as early as 1866. The building ceased to be used as a gymnasium some time before the WWII and has been used as offices, storage and an arts and exhibition space since that time. 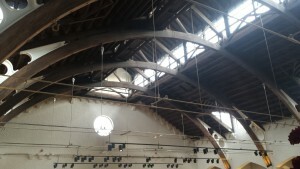 The vast laminated timber roof trusses, with their original cast iron hooks from which budding Olympians swung from ropes, are still in place today. 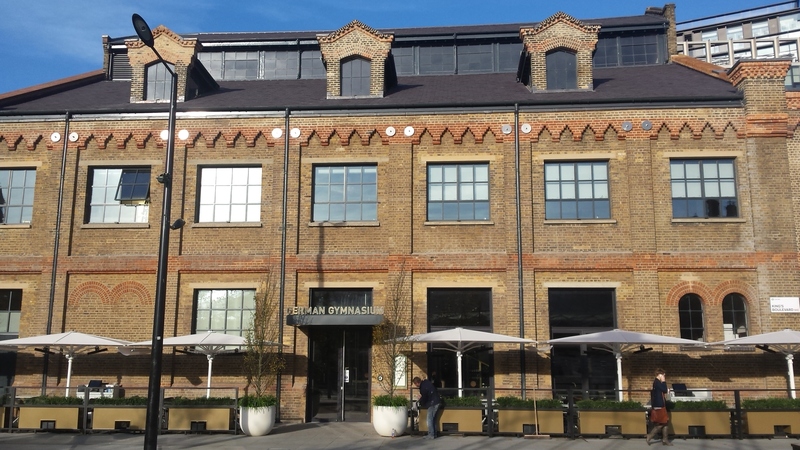 The Gymnasium was restored to its former glory in 2015and is now home to a large contemporary restaurant venue. 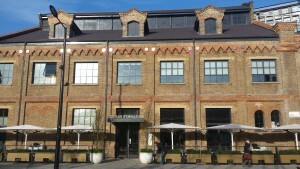 The restaurant is open durng the daytime and includes a bar so although admission here involves a payment you only need to buy refreshments to be able to explore the interior of this magnificent Victorian building.